(Bloomberg) -- Billionaire Jack Ma again encouraged tech workers to embrace the industry's extreme-overtime culture, defying a growing social media backlash. 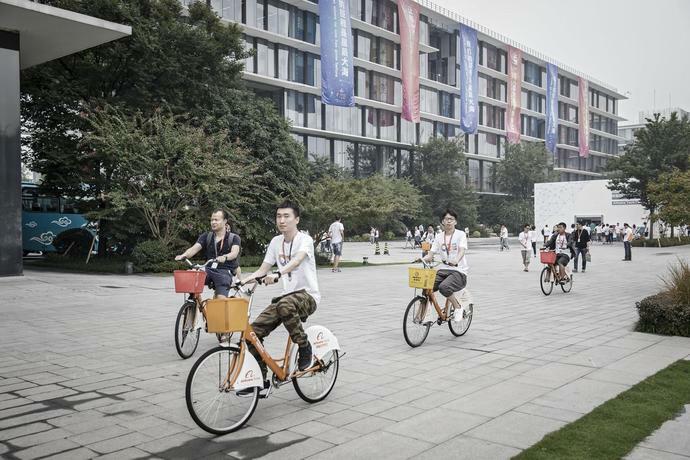 The Alibaba Group Holding Ltd. co-founder once more endorsed the sector's infamous 12-hours-a-day, six-days-a-week routine as de rigueur for passionate young workers. In a lengthy Sunday blog post, China's richest man expanded on comments from last week, in which he dismissed people who expect a typical eight-hour office lifestyle. Ma's earlier comments stoked a fierce ongoing debate over tales of programmers and founders dying from unrelenting stress. Chinese tech workers protested labor conditions on the online code-sharing community GitHub in March under the banner 996.ICU, which quickly became the site's most popular topic. The term 996 refers to a 9 a.m. to 9 p.m., six-day a week work schedule.